A reported planned all-female film adaptation of the classic novel "Lord of the Flies" drew immediate backlash on social media, with critics arguing the gender-flipped reboot is missing the point — and that it’s being written and directed by two men. Film makers Scott McGehee and David Siegel have made a deal with Warner Bros. to write and direct a film based on the William Golding novel, Deadline reported on Wednesday. 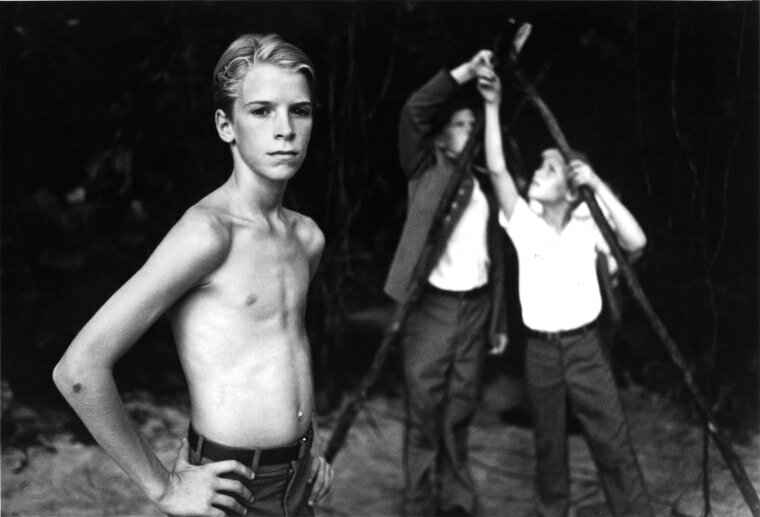 In the novel, a group of schoolboys who become stranded on an island slowly descend into barbarism and brutality. "We want to do a very faithful but contemporized adaptation of the book, but our idea was to do it with all girls rather than boys," Siegel told Deadline. “It is a timeless story that is especially relevant today, with the interpersonal conflicts and bullying, and the idea of children forming a society and replicating the behavior they saw in grownups before they were marooned,” he added. Related: Has ‘Ghostbusters’ Always Been Politicized? The announcement was met with criticism on social media and some said re-adapting the novel with girls misses the mark on some of its central themes of power and masculinity. Best-selling author and Purdue University professor Roxane Gay said in a series of posts on Twitter that the narrative of "Lord of the Flies" was "intrinsically connected to toxic masculinity" and took issue with the all-female remake being helmed by two men. "If you want to tell a story about toxic femininity fine do that. But using Lord of the Flies as the container is lazy and stupid," Gay wrote. The iconic novel has been previously adapted as a film in 1963 and 1990. Representatives for McGehee and Siegel did not immediately return requests for comment from NBC News. McGehee told Deadline that crafting the story with girls instead of boys "shifts things in a way that might help people see the story anew." Siegel and McGehee have also directed together 2012's "What Maisie Knew," 2005's "Bee Season" and 2001's "The Deep End." The announcement of the deal comes as Hollywood has been making a series of female-centric reboots and spinoffs, including the remake of "Ghostbusters," and the planned female-focused "Ocean's 8" set for release next year. And earlier this summer, the film "Wonder Woman" made waves and set records as the highest grossing film directed by a woman, according to the Associated Press. The film has surpassed $400 million domestically, the AP reported earlier this month.